I LOVE Ferruginous Hawks. They are aptly tagged as "Buteo regalis", and as our largest hawk, they are indeed regal. But one reason I love them is that unlike many raptors around here, these guys are often curious and less apt to flush as you approach. Because of that, they're awfully photogenic at times. 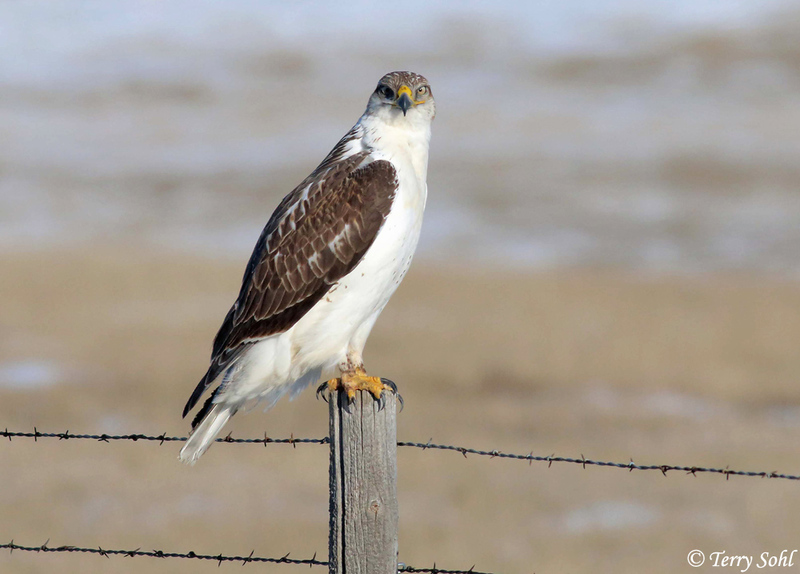 I love this photo because it pretty much sums up Ferruginous Hawks to me...majestic, fierce, and a bird that seems to be telling you that hey, this is MY Patch of turf. Photo was taken on the Fort Pierre National Grasslands.